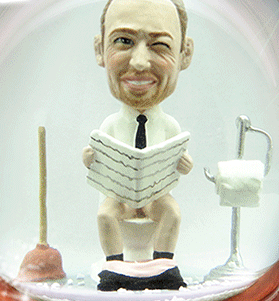 CUSTOM Snow Globes? Yes! YOU! Whatta great idea! It is a snow globe AND a bobble head. Whaaaahhhh!?!? What a great gift! 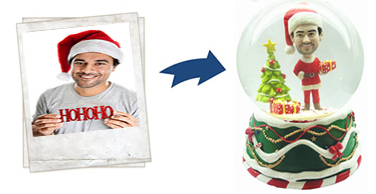 Can you image the look on your friend’s face when you give them a custom snow globe for the holidays? You could use that hysterical picture of them on the toilet! Or that photo of them after they were up all night “studying” in college? But just remember — they also have the same pictures of you, so choose carefully!